the Margarita in the HOME Archi-new - Free Dwg file Blocks Cad autocad architecture. Archi-new 3D Dwg - Free Dwg file Blocks Cad autocad architecture. 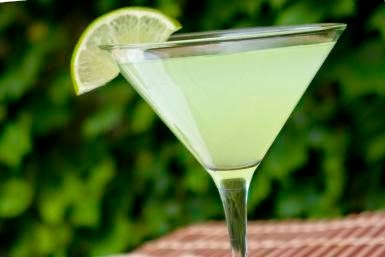 Everyone knows the Margarita, that refreshing drink that can be made in so many ways, take on many personalities, and the must have summer cocktail. The Margarita is one of the most popular cocktails in North America and shows no signs of slowing down. There are a number of variations to the Margarita, so you're sure to find one that is just right for you. There are three basic ways you can serve this cocktail: neat (as in this recipe), on the rocks, or frozen. The next question is, salt, sugar or nothing on the rim of your glass. The possibilities are endless. The first recipe is the most common and the easiest way to make a Margarita, though some people prefer to use a 2:1:1 ratio on the ingredients. Notice that there are only three ingredients, which when combined in a balanced way, makes the best fresh Margarita you will find. Below that recipe is an alternative that uses sour mix and, if you like it a little sweeter, add a dash of simple syrup or agave nectar to the first recipe. Either one that you choose, let me make this point: this drink is far too easy to justify buying a bottled Margarita mix and you will find that the fresh juice makes a far superior drink anyway.